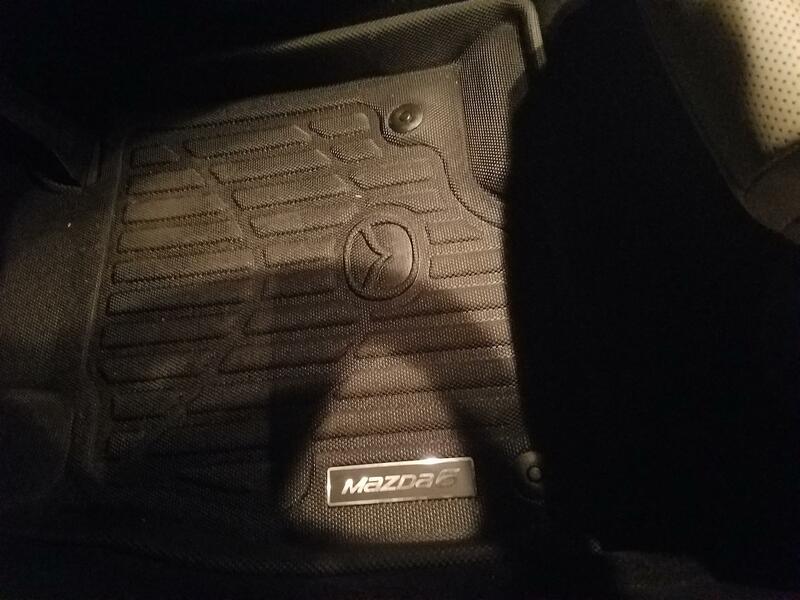 Mazda 6 Forums : Mazda 6 Forum / Mazda Atenza Forum > Visual / Audio > Mazda 6 3rd Generation (2013-Present) > Interior Modifications > Floor Mats? Looks like I found my new mats! Thanks for the pictures. 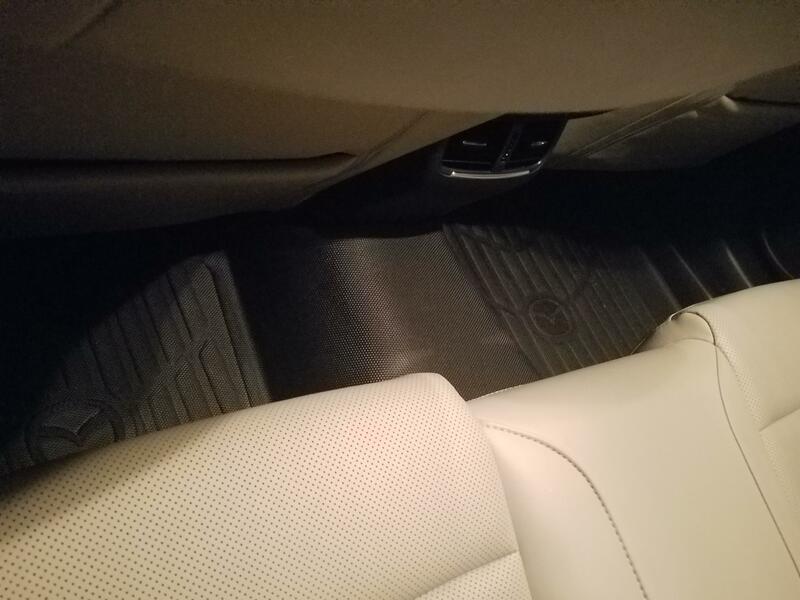 I bought OEM Mazda mats and a trunk liner off EBay for about 20% less than I would have paid at a dealer, including shipping. They were brand new. Learning something new every time I visit this forum. Thanks for the 3D MAXpider tip. Very good looking product! Unfortunately, it seems they do not offer a set for the Mazda6 at this time. Last edited by 1BlinkGone; 12-09-2018 at 02:02 AM. I saw this and I'm contemplating if I should get this one. I think this one has the "longest reach". One thing I don't like, there's no logo of Mazda. If I'll get the one with the logo, it doesn't cover the button holder (I don't know what's it called) and the reach is similar to the stock carpet. My dad got a set of the 3Dmaxpider kagus for his Altima after I told him about them and how I decided on them for my 6 since no one spoke negatively about them and they were affordable. Well, I got their cargo mat which I do really like, but for some reason right when I got my car the black kagus for the 3rd gen 6s just vanished. Tried ordering them 4 times and suffered through lie after lie of the package being "lost in shipping" even though it was obvious FedEx never even got the package. Finally the 4th seller told me the truth: 3dmaxpider is completely out of them with no ETA on more (maybe they screwed up their molds somehow or are discontinuing them). Because of this I begrudgingly bought the more expensive OEM Canadian mats, and all I can say is wow. They feel super high quality and beefy while still being a bit soft on the foot, way more so than the mats in my dads car. They match the car well with the embossed logo and make tag, fit perfectly, and really add to the luxury look of the car when opening the door. To be honest, I'm glad I got screwed with the Maxpider mats. These are fantastic and at the very least the shipping was free for both the front and back. Do you have pictures? How does it compare with this one? I can't compare them super well since I don't have those and photos can always be a bit deceiving. From what I can tell, I like the look of the Canadian ones more in terms of the material and how those would probably feel, but its hard to say. 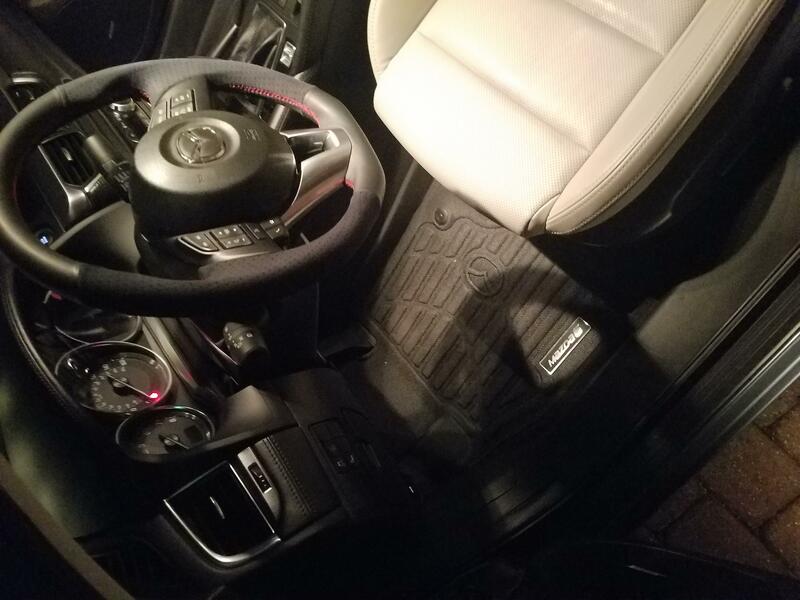 They look somewhat similar, and the only obvious difference I can see is that the rear mat(s) on the set you linked go up a bit higher in the back and seem like they would slightly hug the back of the center console, unlike the Canadian ones. I will get better pictures during the day and with the mats cleaned, but the attached images should give you an idea. My car is some mutant between the black and sand interiors, it was probably a custom order originally.